Today I almost lost a wheel on my car while driving. How could this happen? This morning I went to the dealership to change tires on my car. I had to wait for the mechanic to come in to work in the morning because I was a bit early, and I didn’t really have an appointment, I just showed up. After a while the mechanic arrived and after some 15 minutes they gave me my keys back and told me “you’re good to go”. Happily I drove down to the office with new tires on the car. A little later today I was going to see one of our clients, and I started driving. After a few kilometers I started to hear a banging noise from the back of my car. This had happened to me once before, several years back, but I immediately understood that one of the wheels had not been properly fastened and that I should stop right away. 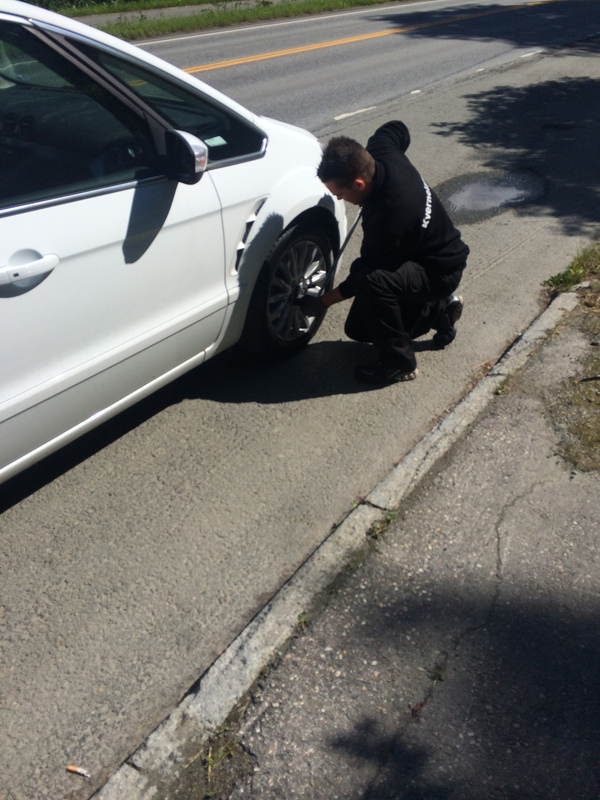 I pulled over and walked around the car – and yes, the bolts were loose – actually they were almost falling out by themselves! Obviously this was very dangerous, and I called the dealership and told them to come and finish the job on the roadside. They actually showed up after just a few minutes, and the guy coming over appoligized and tightened all the bolts. I suggested to him that they should consider having a second person check the work of the mechanic before handing the vehicle back to the owner. He agreed – and told me it was “the new guy” who’d changed the tires in the morning. This was down to several factors – a new guy, maybe with insufficient training, and a client putting pressure on him to finish the job (I was inside the dealership drinking coffee – didn’t talk to the mechanic, but it may have been interpreted this way by him). Simple things affect our performance and can have grave consequences. Why did it not go wrong this time? Because I recognized the sound, I stopped in time before the wheel fell off – it was just luck in addition to experience with the same kind of problem. Humans can thus both be the initiating causes of accidents, and they can be barriers against accident. Is security management still following the «whack-a-mole» philosophy of yesteryear?